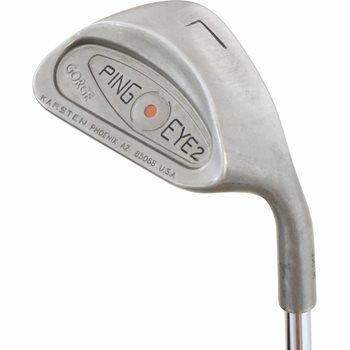 • Precision-milled at PING to give the proven, perimeter-weighted Eye2 wedges exceptional spin and stopping power. • For approaches, delicate shots near the green or deep-bunker escapes, the perimeter weighting and sole contours optimize forgiveness and control. • Gorge grooves give the sand and lob wedges exceptional spin and stopping power. • The groove dimensions are precision milled for unmatched distance control and confident wedge play.